You have a relatively new computer with the latest Windows 10 operating system loaded on it, but lately you have noticed it has been running slow. Could this be a virus? 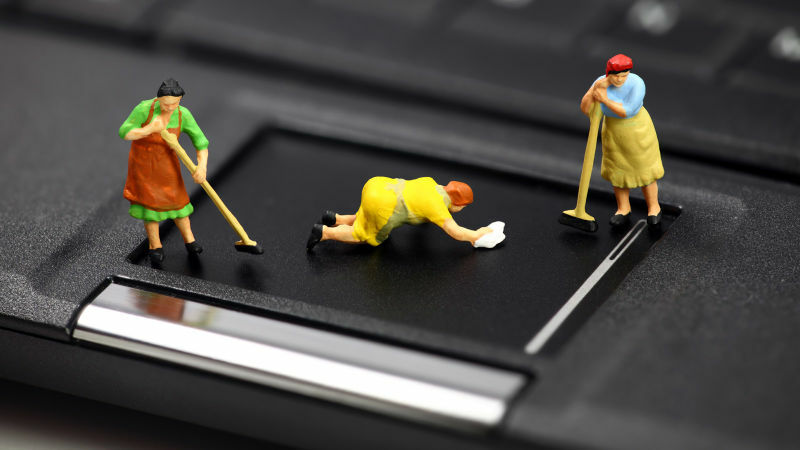 If your anti-virus scan doesn’t detect a virus and all else seems fine with your system, it may be that your computer contains too much clutter. Yes, even with regular system maintenance, your computer can still become cluttered. Here are five types of clutter to be aware of – things that can slow your system’s performance and erode your computer’s memory. More commonly known as “bloatware”, this is the software that’s pre-installed on your computer by the original equipment manufacturer (OEM). In addition to taking up RAM, CPU and disk space, many of these programs are ones that the user doesn’t even utilise. While we all know that keeping your system up-to-date is vital to the health of your system. Unfortunately, some of Microsoft’s updates are broken and may fail to download properly or the installation process may crash. Windows will attempt to re-install the necessary updates at a later date, and some of the unusable files will be deleted by Windows itself. However, several of these will remain, leaving behind files that are not only unusable but even potentially corrupt. Windows actively logs every action you perform within your computer’s registry. This includes the applications and files you have deleted. On top of this, Windows is not very efficient at cleaning the registry. Over time, Windows becomes bogged down and bloated with thousands of redundant entries, further slowing down your system. Every now and again, the software in your system encounters a problem – whether it crashes completely or some small error in processing. Big or small, Windows will log the incident. Over time, the files accumulate and waste precious memory. This refers to the user’s own files. When files are not properly organised, it can be easy to have copies of the same files lurking in your file structure. And your computer will have to index each of them. There are tools within Windows 10 that you can use to help eliminate these kinds of clutter, called Reset and Refresh. While users CAN use these tools themselves, we typically recommend you contact your I.T. support team to assist so they can make sure the tools are used properly. Additionally, your I.T. provider can also recommend other ways to see to it your computer performs more efficiently and with greater speed. Contact our office for questions and suggestions.